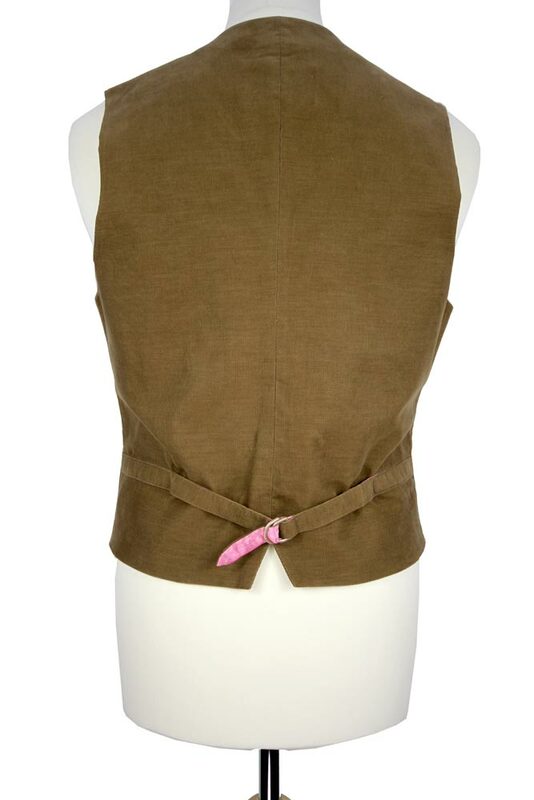 Vivienne Westwood Man London Baby Cord Classic Waistcoat in tan colour. 100% cotton with viscose and acetate lining. 6 button fastening. 2 pockets with flaps and angled left chest pocket. 2 birds embroidered at bottom of right front panel with red hearts. Half belted at rear with 2 ring metal buckle. Fully lined in pink with silver orb fabric. Beautiful piece that matches a jacket and trousers not yet delivered to make an awesome suit.